Jirav brings your accounting data and your non-financial data all in one place and creates a comprehensive view of your business. 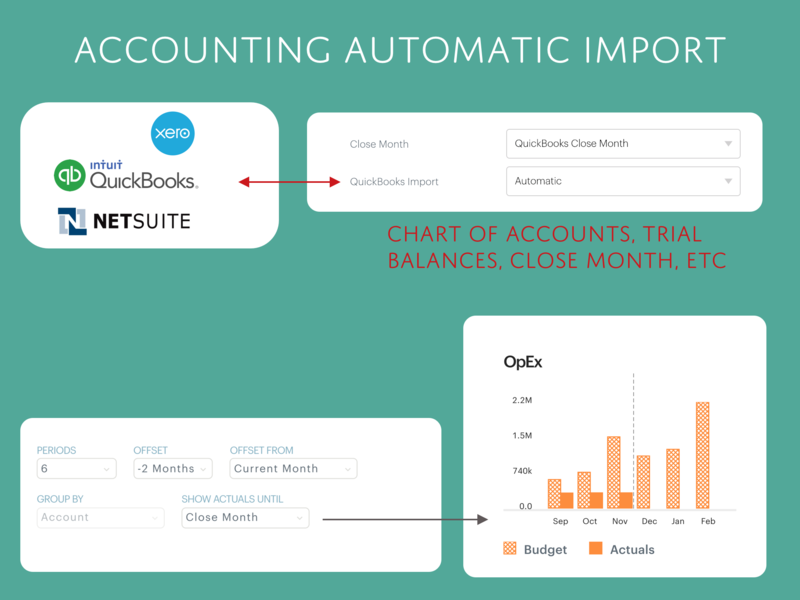 We just rolled out accounting automatic import which means you can set-and-forget your accounting connection with Jirav. Jirav can now periodically import your accounting data and keep it refreshed automatically. Changes to your chart of accounts, updates to trial balances, closed periods etc. are now always kept in sync. And with the recently introduced close month feature, you now have better control on how these updates are cascaded across Jirav.